The Alan S. Michaels Award was established in 2006 by the Recovery Conference Series to recognize outstanding research and practice contributions toward the advancement of science and technology for the recovery of biological products. The Award consists of a total amount of up to $4,000 to cover honorarium and related travel expenses to attend an annual meeting of the Division of Biochemical Technology (BIOT) of the American Chemical Society and is presented by BIOT at an annual meeting. A technical address by the recipient is part of the Award Ceremony. The Alan S. Michaels Award is granted in years that alternate with the Recovery of Biological Products Conferences. All ACS BIOT Division members are encouraged to submit nominations. Nominations should be completed and sent to the BIOT Awards Chair by August 1, 2018. The sponsor must submit a) A complete description of the nominee´s research and leadership contributions for which the Award is intended, b) Curriculum Vitae with publication list and c) Letters of Endorsement of the nomination by two additional persons. Full details are available here. The nominee, from academia, industry or a non-profit/government organization, shall have accomplished original research and/or technical leadership that has exceptionally significant impact upon the isolation and purification of biological products. Alan S. Michaels trained as a Chemical Engineer at Massachusetts Institute of Technology (MIT) and joined the MIT faculty teaching surface, colloid and polymer chemistry. The research and teaching program he developed became one of the most influential centers for engineering applications of surface and colloidal phenomena. 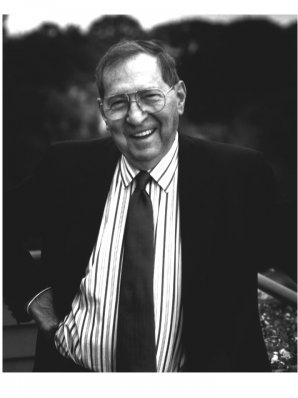 In 1962, Alan Michaels founded Amicon Corporation, whose research and development activities were applied to colloid, surface and polymer chemistries and to new separation technologies. Amicon developed low-pressure, high-flow semi-permeable ultrafiltration membrane systems that have become the work- horses of today´s biotechnology industry, a new artificial kidney and plastics for prostheses. Alan Michaels joined Stanford University´s Chemical Engineering department in 1977. At that time there was tremendous excitement in molecular biology with the advent of recombinant DNA, and, in a number of publications and National Academy reports, Alan Michaels was instrumental in bringing a strong engineering perspective to the "new biology". He emphasized the important role that separations would play in manufacture of therapeutic proteins and specialty chemicals. His creative abilities at the interface of science and technology were astonishing, and inspired generations of young engineers. Biotechnology, and bioseparations in particular, owe much to his scholarship, innovation and ability to bring disciples together to solve important issues.